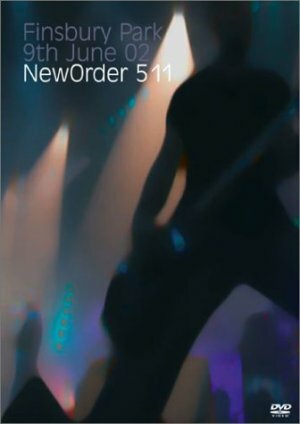 Apparently, the number in the title, 511, refers to the numbers of Joy Division (5) and the number of New Order (11) songs played during the set. 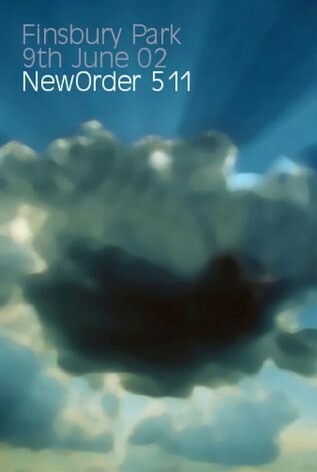 The previous New Order DVD, 316, is so-titled for the same reason (3 Joy Division, 16 New Order). 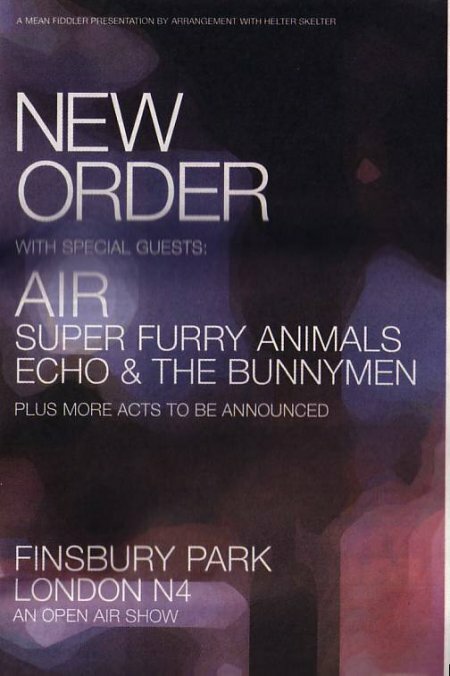 There now seem to be three different sleeves for the dvd. 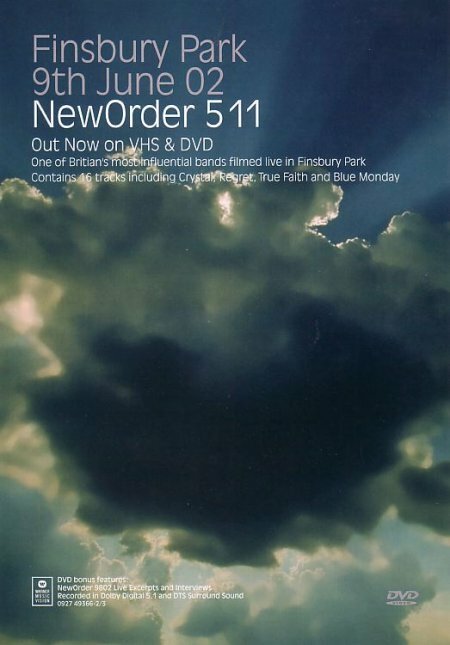 There are two quite similar UK versions featuring the beautiful clouds in the sky and now the Region 1 USA version features a photograph of Hooky in full flow (see right).